The Morris Museum, which opens at noon on Sunday, and the Bickford Theatre are located at 6 Normandy Heights Road, in Morristown. HWS soloist Michael R. Baker began his studies on the cornet at the Salvation Army with Derek Smith at the age of nine. He holds both a bachelor’s and a master’s degree from the Juilliard School, where he studied trumpet with Philip Smith, Mark Gould and Edward Treutel. Besides his second trumpet position with the New Jersey Symphony Orchestra, he is a busy freelance musician in the New York area, playing with the New York Philharmonic and the Metropolitan Opera. He has also performed in the orchestra of several shows on Broadway. Baker is also a member of the prestigious Brass Band of Battle Creek. He can be heard on many recordings of the New York Philharmonic, the New Jersey Symphony Orchestra, and both the Montclair Citadel Band and the New York Staff Band of the Salvation Army. 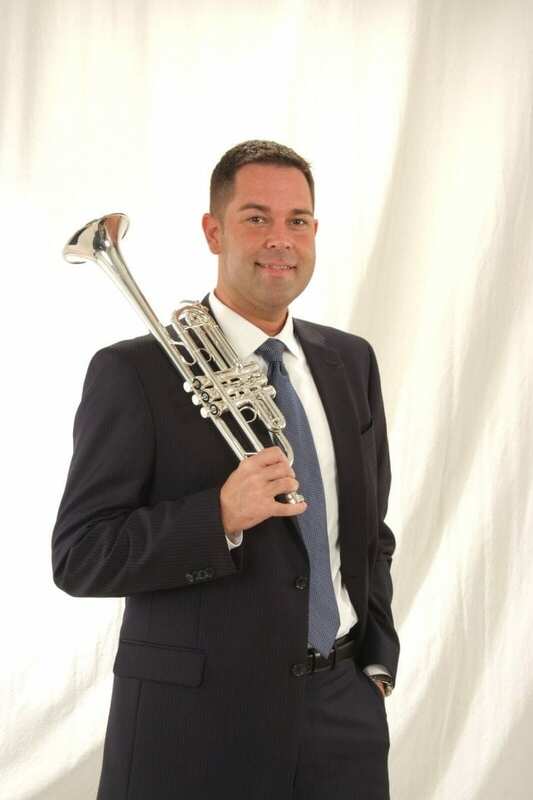 The guest soloist teaches trumpet at William Paterson University in Wayne. Baker has performed as a soloist in America, Japan, Australia, the UK, Canada, Norway, Sweden, and Korea. In 2014, Baker was a guest soloist at the International Trumpet Guild Conference. For more than 30 years, the Hanover Wind Symphony has played to enthusiastic audiences. HWS members are volunteers who share a love for music and a passion for enriching the cultural fabric of the community with the thrill of live wind band performances. By day, HWS members are accountants, engineers, teachers and executives. They come together to connect musically with others, share the enjoyment of music with live audiences, and help mentor the next generation of wind musicians. For further information about the Hanover Wind Symphony, visit www.hanoverwinds.org.